If you played the first release, Princess Isabella: A Witch's Curse, you know the history behind what's going on here in Princess Isabella: Return of the Curse now. The game continues the story leaving the gameplay pretty much the same. This time she wants to kidnap the child and curse not only the castle, but also the whole kingdom. Okay, for those who are not familiar with the previous game, there was a fight between the princess and a witch. It all ended well for the princess and her husband. But just as they were going to start raising their baby girl in a pieceful world, the witch is back. This time she wants to kidnap the child and curse not only the castle, but also the whole kingdom. And this is a very good turn of the story because you get now to travel to different parts of the kingdom, instead of staying within the castle. You will get help from the fairy from the first game. She helps not only with the hints, but also with the power-ups, like breaking the objects. Another helper for you is a baby dragon, that also serves as a power-ups provider. As to the gameplay, it is pretty much the same, and, in this case, it is not bad. 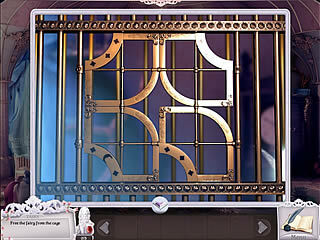 The game balances the hidden object levels, it's many puzzles, and tasks along the way. All of the game parts are challenging and entertaining. The mini games are all very different and entertaining whether it's something typical or more unusual. 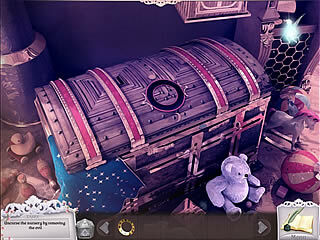 The hidden object scenes seem to be more cluttered, but that doesn't go too far. There are various tasks for you as you go on your quest. Some of them will bу from the villagers that need to be awaken. The graphics of the game are just as beautiful and detailed as in the previous game. The game is big enough to keep you evtertained for several hours. First of all, I am sooo happy you got my pic!! Yes, I took that at my Grandparent's house in Nebraska, and the title was suppossed to be Inspired lol. whopos :p Your welcome for the pic thank you for the books!! 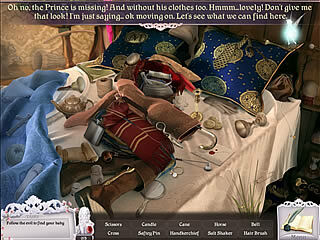 This is Princess Isabella: Return of the Curse review. Download this game here.